I am loving designing these villages. There are now 3 versions…The first was the detailed version of Zig Zag Village, then came the quick version and now there is the HAUNTED version!!! Just add some lights and WOW! I have designed my third village! And the new exciting element on this one is that it folds for mailing or easy storage! Zig Zag Village is filled with charming details - like doors and window frames, porches and trees. You can choose to add either LED tea lights or LED fairy lights for display illumination. 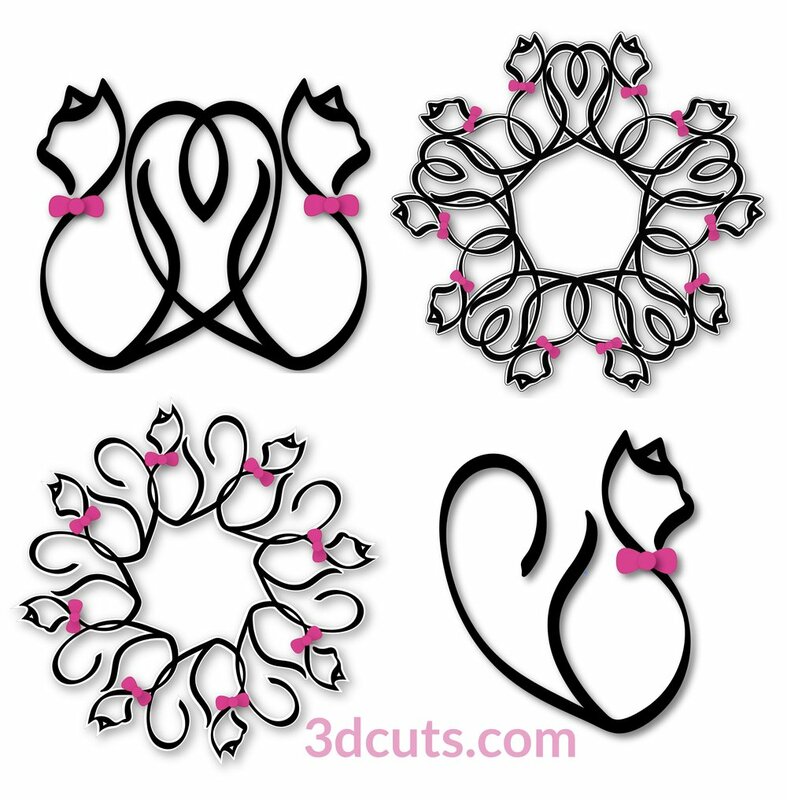 And the download includes the files for tiny wreaths with bows to add Christmas decor. 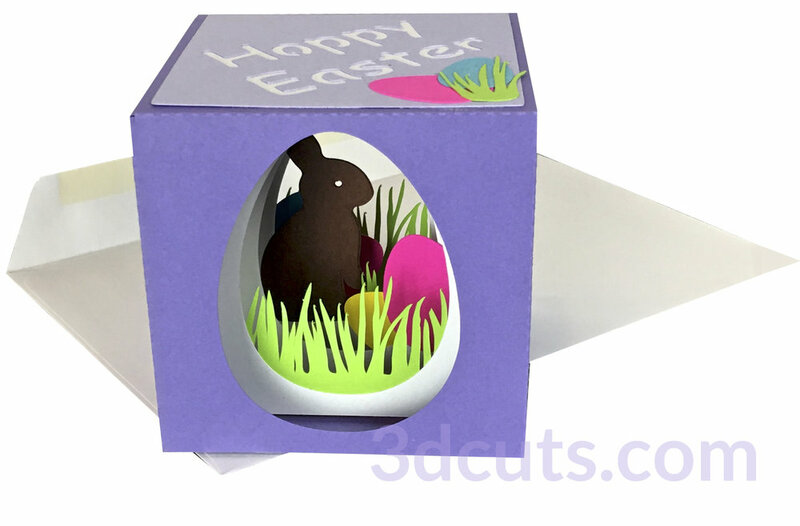 But best of all - the design allows you to fold it and store it or mail it in a standard 6 x 9" booklet envelope. I have made an extensive video tutorial for the assembly procedure and also added helpful notes for organization of all the pieces. Those are available for online viewing here. 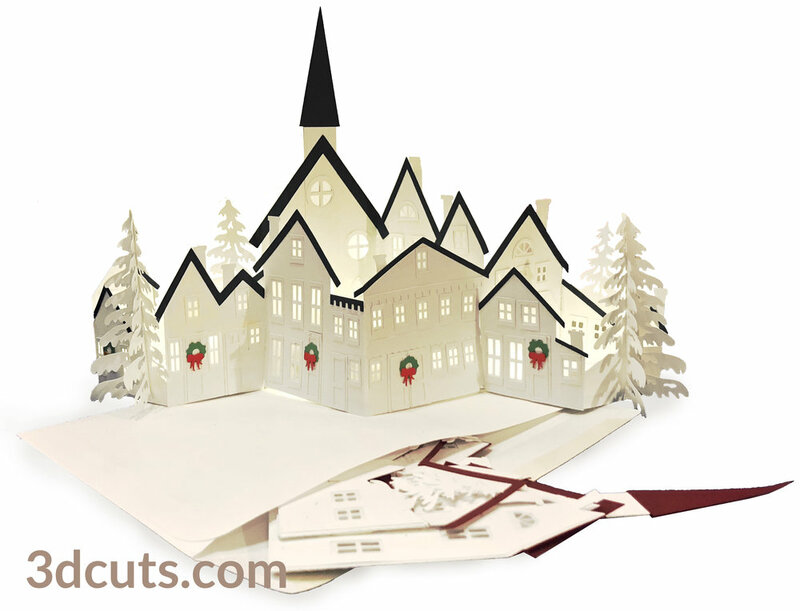 The cutting files is available for purchase here. Enjoy this short video to show the folding action. It will help get you in the Christmas spirit. It is never too early for Christmas crafting! I love shadow boxes and can't help myself. I just keep designing them. This one came because of a request for the deer theme in the small size. 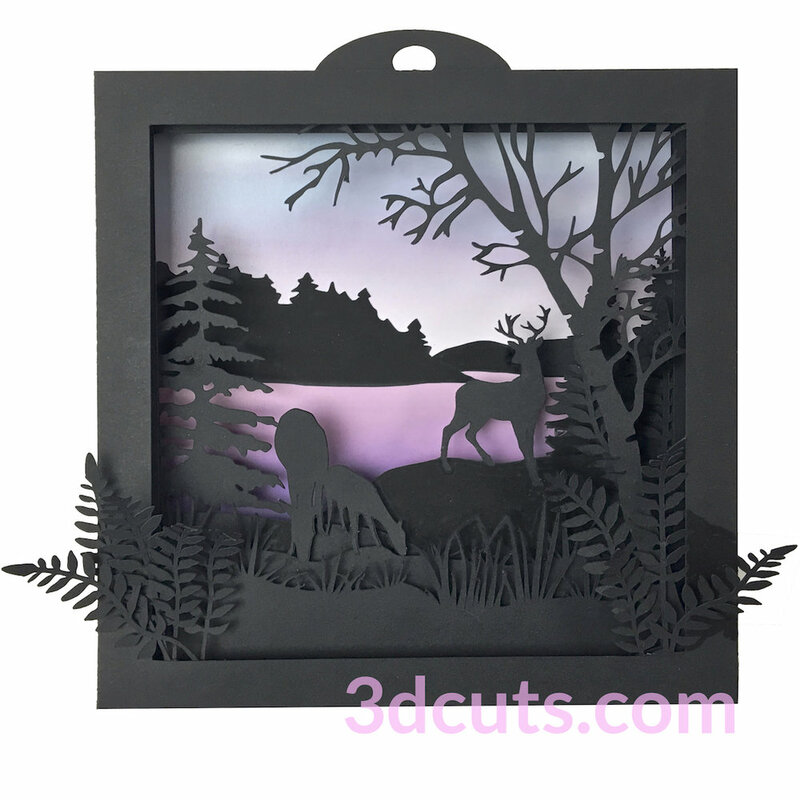 I have done deer in the more complex illuminated star shadow box but not in the small 6.5" square series. But I also wanted to try incorporating a birch tree as well. Oh, and ferns. 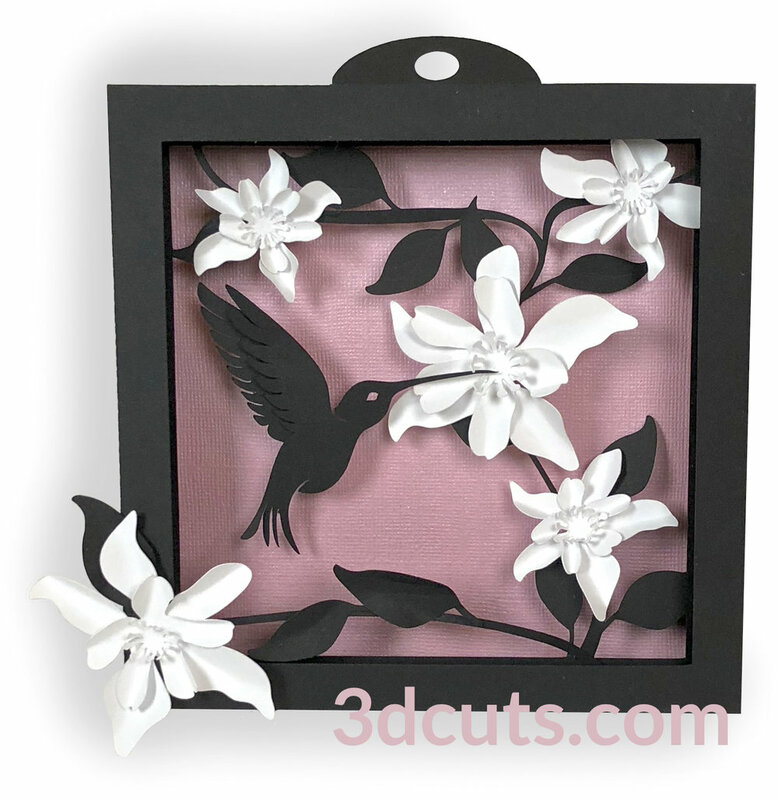 So off I went designing another shadow box. I am especially liking this one. I created a more complex scene by adding additional levels using pop-dots. It still only has the 2 interior layers but there are various elements attached to both the front and back of each. Here is a detailed view. This is sized to match others in the collection like Heron Cove or Loon Lake and the ever popular Summer Scenes series for those that love fishing. The collection grows! A Valentine and a Video!!!! I have decided it is time to learn how to create video tutorials. 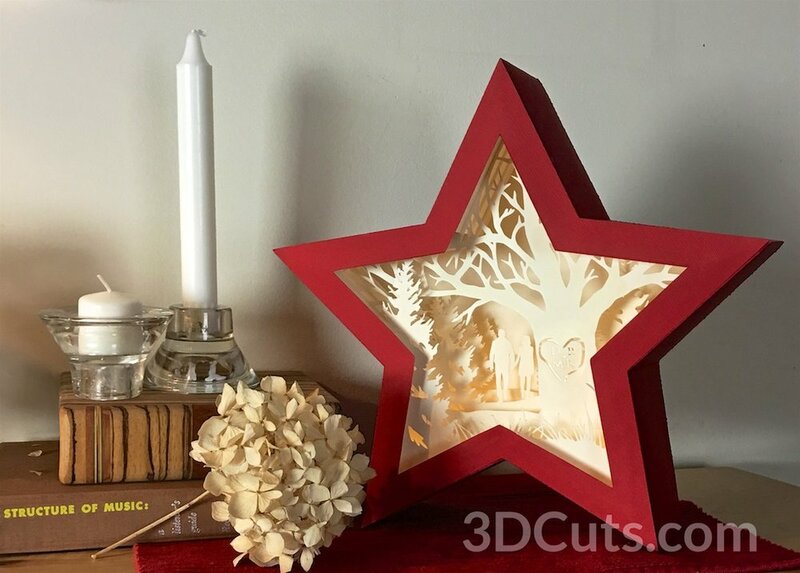 I have delayed in this project because I personally don't like to work from a tutorial but certain projects (think star shadow boxes) would just be easier with a tutorial. 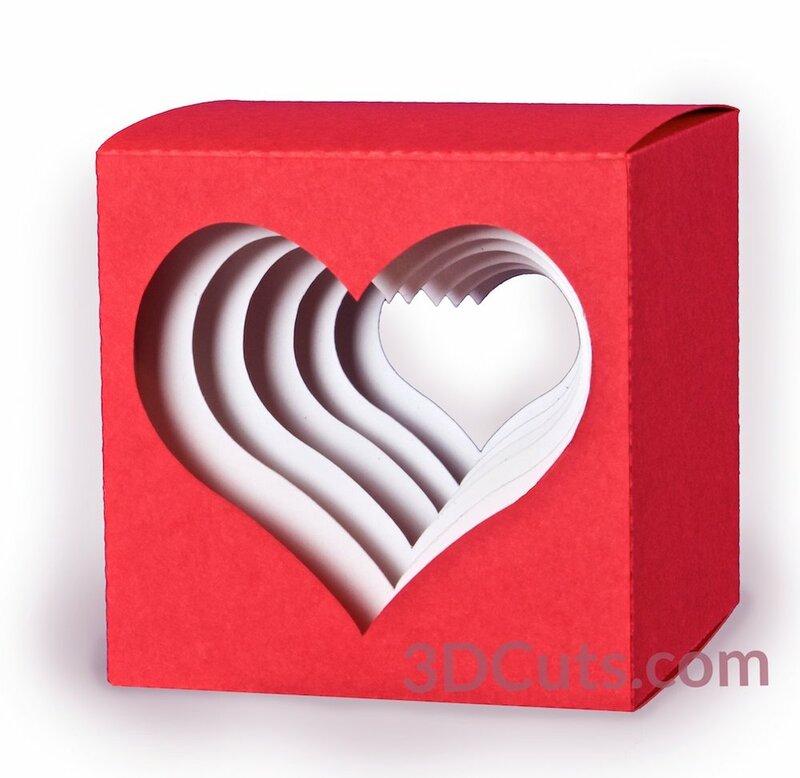 I decided I needed a new, easy design to create my first tutorial so I created this nifty fold-flat 3D Valentine. Here is my first step-by-step tutorial showing how to make this project.